Chinatown! 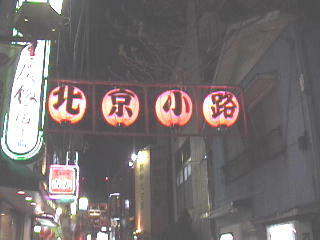 Can you read the characters on the gate? 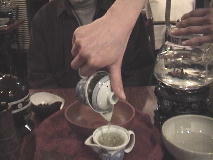 "chong hua gai". So far (March 23) I've gone here three times. The first time with Brian. The second time, by myself for Chinese New Years (spent lots of ¥ on sauces, half of which I still haven't opened....) and ate at fast food dim sum shop... And the third time with Gina and Angela where there was Kaiten Dim Sum!!! 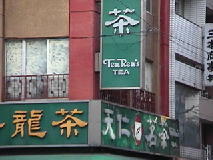 The first thing I saw from the main gate was a Ten Ren shop. 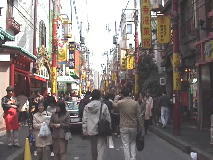 Both Kobe and Yokohama's Chinatown are lined with these street venders selling steamed goods. The billowing smoke is more a gimmick than what is actually necessary. 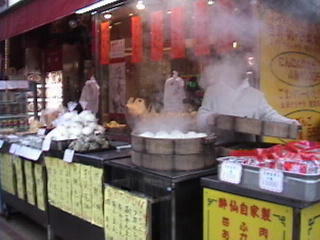 They sell things ranging from steamed buns (which actually has a lot more variety than what I see in Toronto, eg. 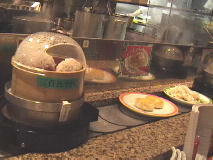 shrimp buns, gigantic buns the size of soccer balls, and other fillings), coconut sweet sesame balls, bubble tea (I've only seen three flavours, milk tea, coconut, orange. 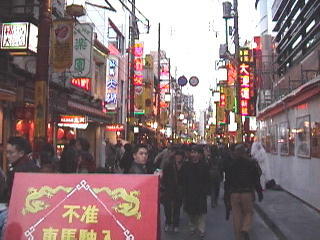 And there are no bubble tea shops though you might find them in the dessert section of some izakayas), egg tarts, etc. 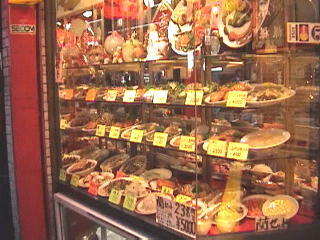 There were more selection in Kobe's Chinatown than here. Here are the streets and crowds, can anyone spot Brian? 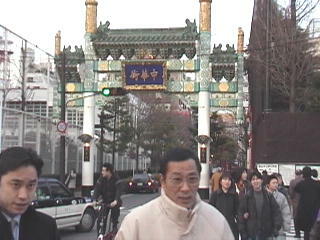 Besides Beijing Street, they also have HK street, etc. BTW, Japan refers to Beijing as Peking, the old Wales Giles way...(I'm not even sure what that writing system is called). 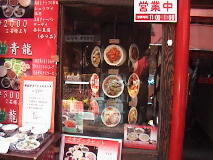 Every restaurant displays their dishes in these real life like plastic imitations. Who likes Hai Keem? Check out the price! Convert by multiplying by 0.012....all right, I'll do it for you! $19.20 cdn for two!!!!??! 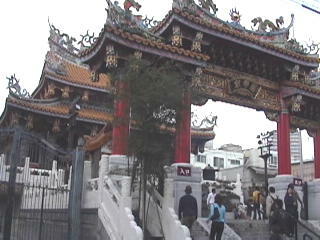 The picture on the right is a famous temple in Chinatown, don't ask me for the name, I forget. But I never saw it 'til I visited CT the third time. 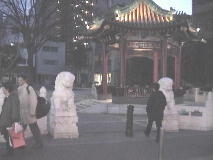 The picture on the left is just a pagoda. 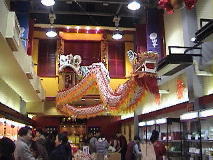 Every Chinatown must have a display of a dragon somewhere. The middle is just a small sample of the sweets. They look soooo yummy! 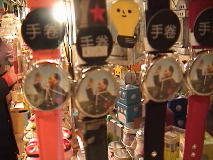 Some knick knacks, Mao Zedong Watches! 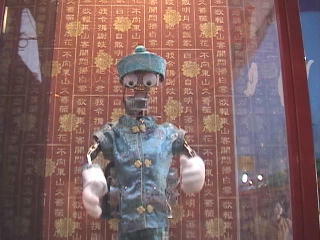 This Chinatown has plastic moving objects with voice recordings welcoming people into their shops/restaurants. It's soooo gimmicky I love it! 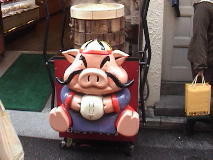 Actually Japan in general has a lot of gimmicky things. 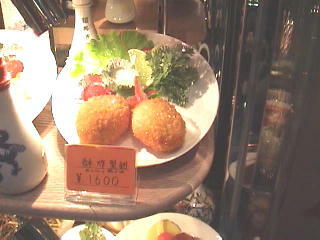 For example, they sell huge strawberries the size of your palm but they're tasteless. The smaller the strawberry, the sweeter it is, but the bigger ones go for $50 a box coz they look better. 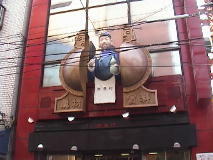 The picture on the left, above, is of a Chinaman holding a dumpling and a jug of alcohol. He came out of that sphere! Doesn't the robot on the right remind you of the movie Short Circuit? They all talk....except the pig maybe. I forgot to take pics of the Monkey they have hanging everywhere....maybe soon. I definitely want to come back again. I'll take you here Elisa. 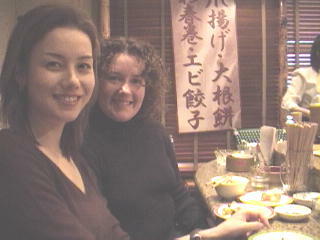 Here's Gina and Angela. It was my 3rd time in Chinatown and luckily Gina can read Japanese coz she found a Conveyor Belt DimSum Restaurant (Kaiten Dim Sum)!!!! Ok, the food wasn't that good, but we bought into this gimmicky thing anywayz! I was like a kid with a key to a candy shop. I couldn't put down the camcorder! 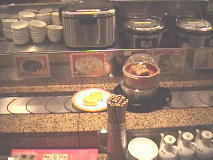 The middle of the conveyor belt ring were these chefs who kept stir frying things in these woks and flipping the food into ladles with just one hand. The woks would burst out into flames every five minutes. 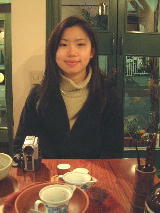 These three pics were from my first visit. 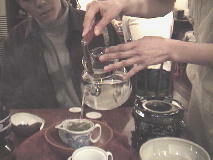 Brian and I tried out this authentic Tea Shop where tea was steeped and poured the proper way. 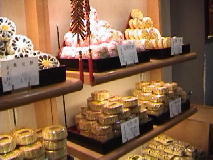 It's so strange when I hear the shopkeepers speak Mandarin. I know it's Chinatown but still, it makes me want to approach them and say ..... I dunno, something in Mandarin but I'm not even fluent yet so can't.